UKIP will surpass 9% , they’ll surpass 20%. Oddly there was a by-election in 2004 here. Firstly UKIP beat the tories by about a hundred votes, which is really weird seen as the tories usually come second here and UKIP were very unknown then. I think, I wasn’t really politically in touch aged 4. However also odd is respect stood . respect. here? why on earth would respect stand here? At the time the area probably had about 4 muslims and lets be honest, respect is a pro-islamic right, islamification party. Robbiue – this byelection took place not long after the European elections when UKIP had emjoyed a significant breakthrough (from memory increasing from the 3 seats won in 1999 to 11 or 12 in 2004). Much of this had been due to the prominence in the campaign of Robert Kilroy-Silk and there were suggestions or hopes (depending on ones point of view I suppose) that he would contest the by-election. I was personally of the opinion that the momentum was still such that we could have won then with Kilroy as candidate. I’m not sure (again going from memory) if UKIP won the popular vote in Hartlepool in the 2004 European elections, but it has often been one of our better areas. Never realised this was Tory in 1959. Quintin Hogg in a cloth cap making a right fool of himself makes a lot more sense now. Richard Royal selected as Tory candidate. -Really tough one to predict, but all in all we know that it is a dead cert Labour hold. -UKIP will no doubt be in a battle for second place with the Tories here, it seems like quite a ukippy area having been here once or twice, but more labour like. -Liberal democrats will do badly but save their deposit, fending off the greens. Independent candidate, Stephen Picton, seems to be an unknown and will probably be demolished. Are these your final predictions Shaun? Can draw lots of comparisons to Great Grimsby with this seat. Very WWC, coastal, maritime and especially fishing orientated, v.high on Goodwin list of Ukip friendly seats (27 to Great Grimsby’s 13), feels neglected and apathetic (a bloke in a monkey suit for mayor….Twice). Even the 2010 result looks close to Great Grimsby’s did 5 year previously. I reckon Ukip might touch 25% here. unquestionably should be a target seat for the 2020 plan. Farage speaking here. Labour apparently very worried about Ukip in Hartlepool. Don’t think UKIP will win, but this could certainly be a seat that has gone under the radar as a target seat from Labour compared to Grimsby/Walsall/Dudley etc. Is a lot to what Tyne says about the nature of the constituency, although I haven’t lived in the North East for quite some time now. Could see them getting a very good 2nd here, and being in a position to target hugely in 2020. Labour by 3,000-3,500 would be my final prediction; UKIP 2nd with the Tories not that far behind them. The electorate is very volatile here. First the LDs managed to get a huge swing in their favour, and then the Tories in 2010. It wouldn’t be surprising to see another big shift in support to UKIP although Labour should hold on. It would be more accurate to say that *part* of the electorate is very volatile here: Hartlepool is an insular place and always been a little bit apart from the rest of the North East in some respects, but the Labour base vote here is both solid and high. I wonder if Mandelson has visited Hartlepool since he stood down as an MP in 200?! Hahaha! I don’t follow this area at all, but had wondered if Drummond might stand following the abolition of his position. Given that he isn’t, I can’t see any way that Labour dip below 45%, which will be enough for at least a 10% majority irrespective of the relative fortunes of the other parties. Labour down 2000 votes on 2010 and only 3000 ahead of Ukip, who I said would do well around here. This should be a wake up call for labour, especially after the loss of Scotland, their traditional WWC fortresses in the NE are not as stable as they think they are. Although Hartlepool looks like the sharp end of the wedge, Ukip did better than I expect most thought they would, especially it seems on wearside and Teesside . Stephen Picton is your standard populist Indy. So Labour’s position is even worse here than it looks assuming those votes would mostly transfer to ukip otherwise. You’re right, this stands out as a terrible result for Labour in one of the regions where they generally improved on 2010. I wonder what accounts for their far worse vote here compared with eg Sunderland? This was arguably UKIP’s best result in a seat with no incumbency, celebrity factor (Farage) or previous by election (Heywood). There was a controversy between football team and MP. In the run up of election day the club’s website published a statement basically advising not to vote for Iain Wright. Not sure how much football is followed here though. I am told Hartlepool almost got relegated. UKIP should have shifted their attention from seats like Great Grimsby and Boston&Skegness to here. Agree, they heavily targeted Great Grimsby but ultimately came a disappointing 3rd, with Labour bucking the national trend and greatly increasing their majority. If they had targeted Hartlepool properly I think they would have been with a good shot of winning. Hartlepool is quite an insular place with a volatile electorate. The results of the 2004 by-election, the European elections and the mayoral elections here, have shown a tendency for voters here to back other parties. A lot of traditional labour voters may have broken the habit of a lifetime by voting Stuart Drummond and in hindsight this may have softened the Labour vote here. UKIP did put effort in here, Farage visited Hartlepool and the UKIP candidate was high profile. But what allowed them to gain more traction was concern over the state of the local NHS. Here is the guardian’s report on this constituency. There seems to be some discontentment with this MP personally too. Hartlepool FC actually realised a statement on Election Day criticising the local MP and telling their supporters think very carefully before voting labour. I wouldn’t underestimate this as a factor, after all, this is the town that elected this clubs mascot as mayor. Sunderland is a larger urban area, has a larger and a growing ethnic minority (Bangladeshi mainly) population. Plus there is the University of Sunderland, the profile of which has increased lately. All of these factors help labour. The local labour MP’s are better and the WWC vote seems solid there for now…. What an absolutely dreadful result for Labour this was- I didn’t see UKIP’s rise into a surprisingly close second place coming at all. I suppose this was one of those seats that managed to slip under the radar of most psephologists, and the campaign locally must have been well-fought by the UKIP candidate. One of my better predictions! I heard the same from friends within Labour as Andrea here about the local campaign. I think in the last week or so, about the time of the Guardian article, they just about woke up to the threat UKIP posed here, or it could have been even closer. Much next time will depend on how the non-Labour vote splits between the Conservatives and UKIP. It is clear that UKIP will continue to target this seat. Was any redistribution of this seat proposed in 2013? If so might it have altered the result? If a redistribution before 2020 brings more rural.suburban areas into the seat, Labour could be very vulnerable. It is not just that the majority has been reduced to 3024 but that an MP with less than 40% vote share is bound to be vulnerable. An MP in his fifties is very unlikely to wish to stand down but from previous comments on this thread one wonders what might happen when it comes to reselection. Finally, I wonder what the Labour Party membership figures are here. They won’t survive here with a moribund party. I am posting to this thread as Hartlepool is the seat where Labour has the smallest majority over UKIP. Some of us perhaps tend to think of UKIP as a party targetting Conservative seats, many of them on the East Coast, which share certain features, such as disance from regional centres, a high white working class vote and low levels of higher education. Therfe are indeed such seats, from Boston and Skegness to South Thanet.However, looking at the list of UKIP targets, I see that six of the top ten are actually Labour seats – Hartlepool, Heywood and Middleton, Dagenham and Rainham, Mansfield, Great Grimsby and Stoke-on-Trent North. Of the next ten UKIP targets no less than eight are currently Labour seats: Oldham East and Saddleworth, Hyndburn, Bristol South, West Bromwich West, Neport East, Rotherham, Don Valley and Workington. Southport is technically 26 on the UKIP target list although they are in fourth place, the LIbDems having won with 31%, leaving only Portsmouth South, where UKIP is agin fourth, as a conservative seat in this group. Looking at this list UKIP amy get a good tranche os sets if, as now looks likely, Jeremy Corbyn wins the Labour leadership election. If they campaign competently UKIP should be able to pick up much of the older working class vote of people who would never vote Tory but have become highly dissatisfied with the new middle class Labour..
UKIP needs an 11.37% swing to win WSorkington, Number 30 on their target list.. Becasue the UKIP vote was fairly uniformly spread over much of the country, they only need 14.80% to get a hundred seats. The hundredth seat is actually a Conservative one, Bognor Regis and LItlehampton. Sheffield South-East is Number 98, Leeds West is 99 and then the next UKIP seat currently held by Labour is Doncaster North at 104. Sheffield South-East requires a 14.77% swing to UKIP and Doncaster North a 14.91% swing. BBC 6 o’clock news had a report from Hartlepool tonight. The reporter said they struggled to find many Remain supporters. Lots of vox-pops with leavers. Not very surprising, of course. They billed it as a ‘Labour heartland’ but I wouldn’t say that’s really true – 14% more voters in this constituency went CON or UKIP than LAB in 2015. In fact even less voted Labour as the bar chart on this page is wrong. The LAB vote share was 35%. It’s definitely UKIP’s best chance at a Lab held seat despite all the waffle that was spoke about Grimsby in the run up to 2015. “This is not a Labour heartland” – well it was before Mandy had the seat. Excuse me appearing transphobic, but you’ve put a vision in my head of Peter Mandelson dressed up like Eddie Izzard and calling himself Mandy…not really a pretty thought. If I had to guess yes they would hold it. If anyone can lose this seat for labour it’s the current leadership with all their insane, far out, wacko views that normal people don’t relate to . I hope it lives up to your expectations, though I can almost guarantee you’ll have a totally different outlook come that night since the landscape will have most probably totally changed. From an outsiders perspective it probably looks that way. If it wasn’t for the coup and May’s honeymoon they might have been, alas we’ll never know. All I’d say is (and I will hold my hands up totally if I’m wrong in a few years time) that I don’t think you’ll be quite as confident about 2020 on the eve of the election as you are now, a lot will change. Again I doubt it, despite all the bluster there isn’t actually any real motivation to de-select MP’s. The desire exists of course but its mostly just grumblings. With the leadership having explicitly ruled out de-selections except in circumstances where a MP is suspended (please let them de-select Danczuk) I anticipate nothing much will happen. Moderates will naturally be the biggest losers if the review goes ahead but it will be by purely democratic means, for example in the case of McGovern her and Greenwood will obviously compete for Bebington and Heswall and its totally obvious Greenwood would get the members nomination being as she’s a Corbyn sympathetic soft leftie. Will Paul Nuttall consider being the UKIP candidate here next time? I’m not sure why other parties bother standing in Merseyside. Alex Ferguson could stand for Labour in Anfield and win with a thumping majority. People used to say that about the Scottish central belt seats as well, of course. Granted, but other parties would be coming from an even lower base, surely? In a couple of seats UKIP came second with less than 10%, it is comparable as areas like Harrogate are for Labour. Probably worse. I take your point, but consider e.g. 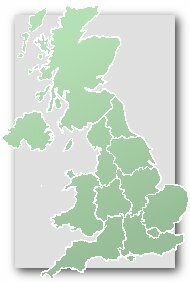 Underneath the 16-point Tory lead in the polls I expect that there are some very interesting shifts going on – most likely Labour hardly losing out at all (or even gaining) in areas where they rely on a more liberal, professional vote but collapsing in areas where their voters are of the pro-Brexit variety. So possible what are now seen as safe seats could end up close.